The Creeping Oregano above was planted two springs ago from one of our three inch pots. It now covers about three feet. 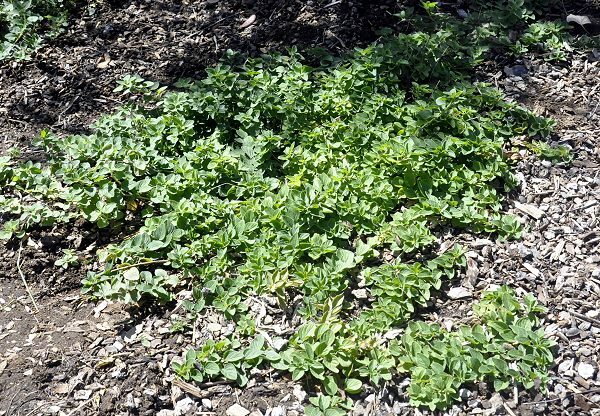 It is growing in both full sun and part shade. To keep it spreading out we make sure the ground around it is watered. Over the years it will completely mat together and from a dense cover. 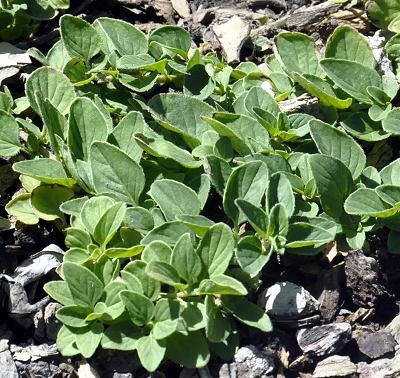 Creeping Oregano will grow eight to ten inches tall but a shearing back twice a year keeps it low to the ground. 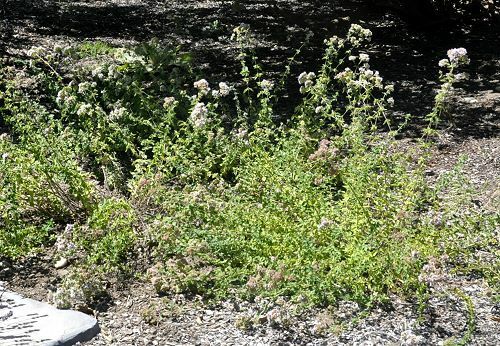 Creeping Oregano makes a tough and attractive ground cover and lawn substitute. It is often included in our 36 Pack Alternative Lawn Assortment. This plant is often available in plug trays. These trays hold 128 of all the same plant. They are a great low cost way to fill a lot of space. Each cell is 3/4 of inch by an inch. Check here to see if Creeping Oregano Plug Trays are available.